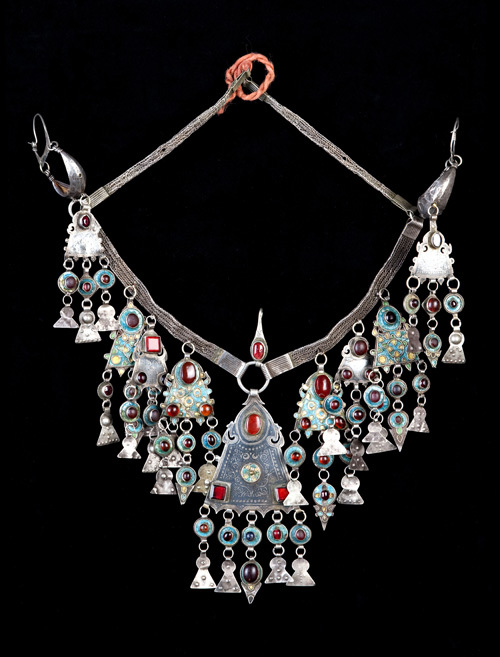 An expression of tribal identity and of the social status of the woman who wears them, jewels are also a form of savings, available when the economic fortunes of a rural society dictate. 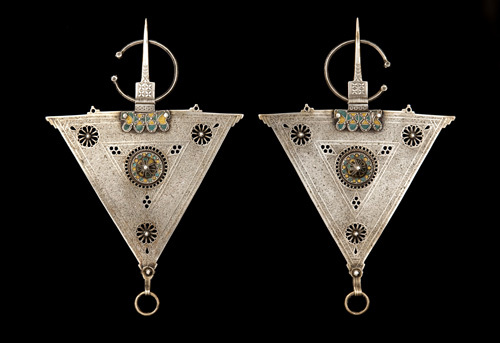 They are all made of silver, using three techniques and designs according to particular regions: casting, chiselling and filigree; then enamelling, nielloing, engraving and the insertion of coloured cabochons. 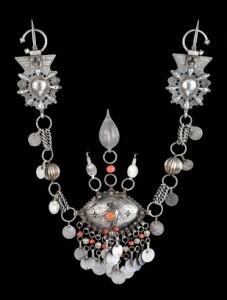 This is the work of remarkable, often itinerant, artisan silversmiths. 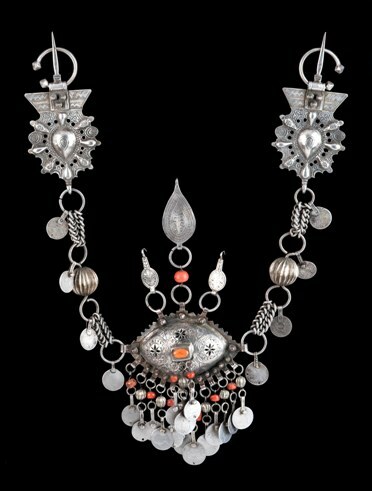 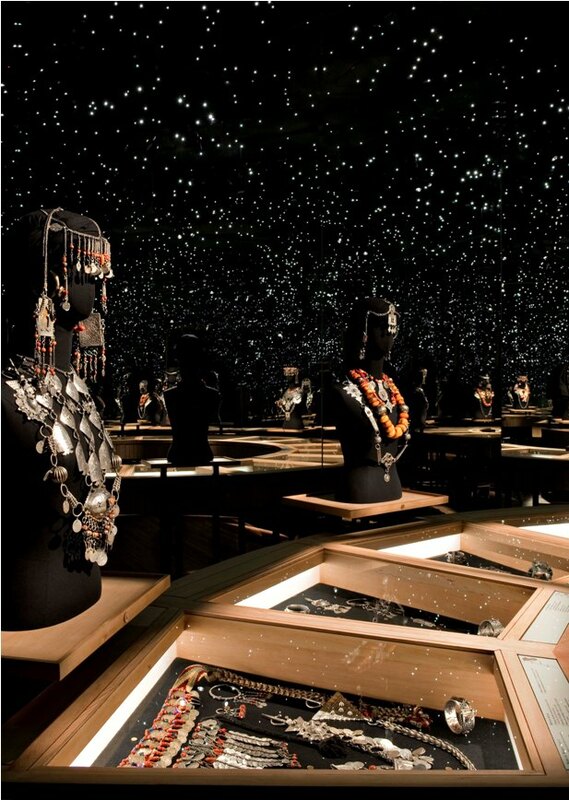 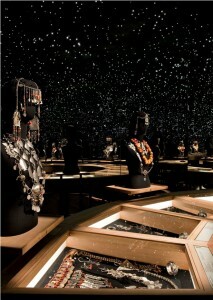 The necklaces are created by women who combine amber, coral, amazonite and silver elements depending on the style of their region. 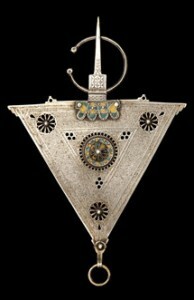 Many materials and symbolic shapes employed are believed to be imbued with disease-preventing virtues.